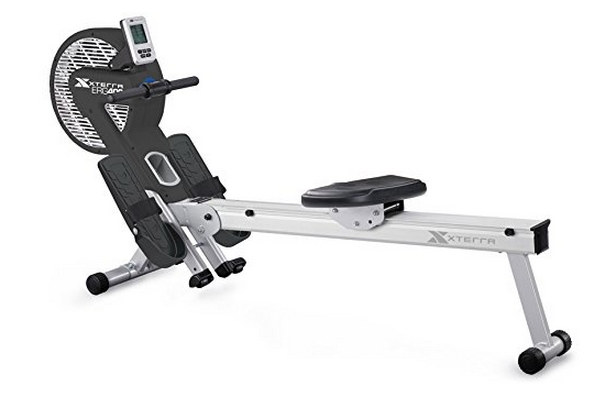 The XTERRA ERG400 is one of those rowers that sits in between the out and out budget machines and the mid-range models that don't quite hack it with the quality manufacturers. 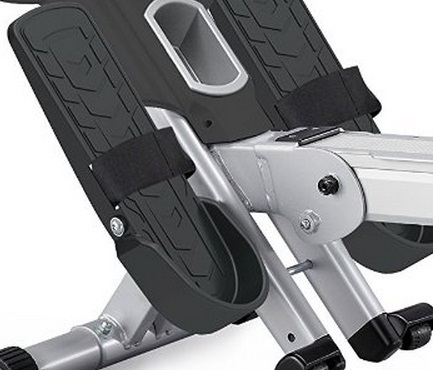 Before we get onto the advantages and disadvantages of the ERG400, let's take a quick look at the brand XTERRA Fitness. 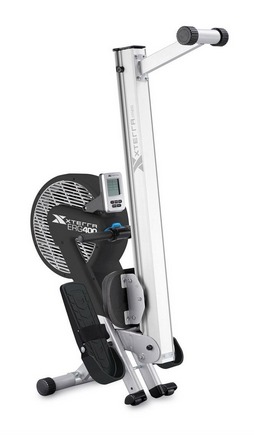 XTERRA is not a name that immediately comes to mind when talking rowing machines, but they do have a good reputation for their treadmills, exercise bikes and elliptical trainers. They've been in the fitness world for over thirty years now and are a brand better known in the world of tri-athletes. But while they have a good range in all the other types of fitness equipment, this model (made in Taiwan) seems to be a token gesture towards the rowing machine market. Putting all that aside, how does it row? ​As with all our reviews we'll start with our experience of getting it out of the box and putting it together. The good news is that it's well-packaged and all the parts were present and correct. But if you're not a natural handy person, you may need help with construction. Once assembled, the first impression is that the rower is a little let down by the seat. We've seen this on a number of budget models and it feels like a budget seat. This isn't a deal-breaker on its own, but sometimes just a few extra dollars spent on the easy stuff can make a big difference. The rowing position is good. Many budget models (and a few costing close to this one) have a low seat and this can be difficult to get on and off, especially if you've been rowing hard for thirty minutes. The ERG400's seat is approx 16 inches off the floor, not quite as high as one you'll find in a gym, but enough to be comfortable. The frame feels solid, although with a heavier rower we noticed it starts to move a little when giving it some stick. 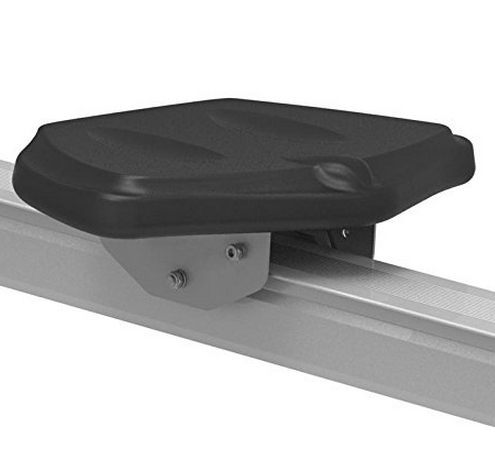 The angled aluminium beam lends itself to a challenging workout combined with 16 levels of resistance provided by a mix of magnetic and air resistance. 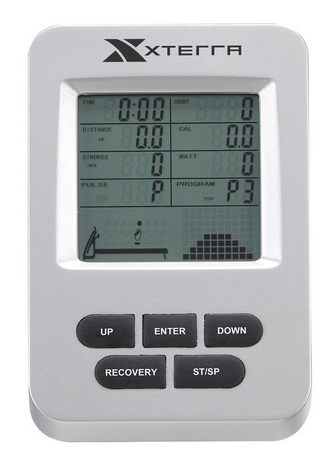 This gives the advantage of a realistic feel of rowing on water (air), with the convenience of one-touch control with a button (magnetic). However, if you have a small space to use a rower, the fan can get noisy at high stroke rates. Note, this is a folding model so if space is limited, you can store it away in a relatively small area once you've finished your workout. For the price,the display is informative and shows you just about everything you need to know about your workouts. You can read out what all the data such as elapsed time, stroke rate and Watts mean here. Other models costing a few hundred dollars more, have PC-compatible consoles and online functions. But this does have 4 pre-set programs including a useful interval training workout. Our only beef? It isn't compatible with a heart rate monitor so you cannot see your pulse rate. It could also be a little larger. Some may find it not so easy to read when going all out. For the price you get a lot of rowing machine. Okay, the seat isn't the best we've tried, but other features make this well worth considering if you have around £500 to spend. 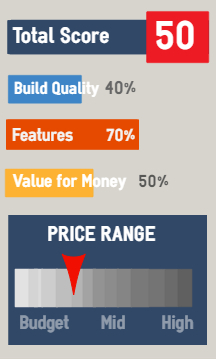 We believe this easily beats others costing around the same. It's a shame it's not compatible with a heart rate monitor, but you do have to pay extra for this function on most machines. Sep 2016: A recent price rise reduces the value for money sweetener. * Note these prices may differ - please check retailer website for latest. For another hundred dollars or so, the LifeCore R88 has a few more functions including heart rate display. If you want something a little different, the Pro-Rower RX-750 is a water resistance model which many indoor rowers favor. We're waiting for owners comments to post here. Do you own this model? What do you think?